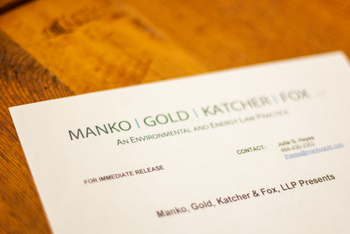 Philadelphia, PA (March 21, 2016) – Manko, Gold, Katcher & Fox, LLP (MGKF) is pleased to announce that, for the sixth consecutive year, it has been selected as one of only 100 Philly.com Top Workplaces. MGKF was the top-rated law firm and ranked fourth overall in the small companies survey. The firm was also specially recognized for its effective employee communication. Philly.com published the complete list of 2016 Top Workplaces on March 20.